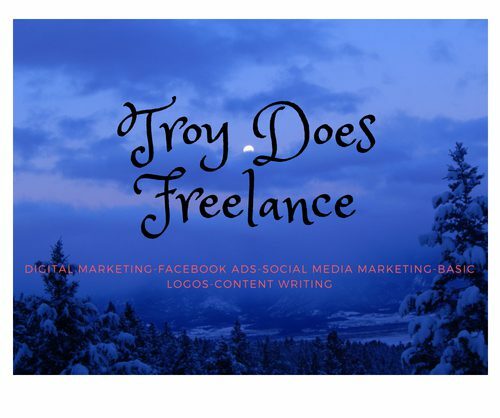 troydoesfreelance.com – Freelance digital marketing. Freelance Facebook ads and social media marketing. Freelance digital marketing. Freelance Facebook ads and social media marketing. Digital Marketing and digital marketing solutions based on building awareness for native English entrepreneurs and businesses. Those that provide key services and/or world-changing original products. The next Windows, Apple or Ford needing their breakout. Or just the local business wanting national exposure or even improving their local awareness. The non-profit that has a cause the world needs to know about. The local farmers market encouraging foot traffic. The local high school fundraising event…..They all benefit from good Digital marketing. I provide great communication and offer affordable, simpler solutions than many marketers who overthink what is essentially a fairly simple process. That overthinking usually entails a complex strategy they claim to have spent days and weeks developing just for you. Well maybe they did, but most likely it is a template that may not even be their original idea. They will offer a price often in the thousands. I work by the hour and can usually figure out what you need and have an ad running in under 5 hours. 5X14= well, not much for paid advertising. Which is best if you have no or few followers. I work to keep per click pricing below .20 ideally I want .05 if possible. Organic SMM takes a little more finesse, but same $14/hour rate. Need To talk? Set up an interview and we can discuss.